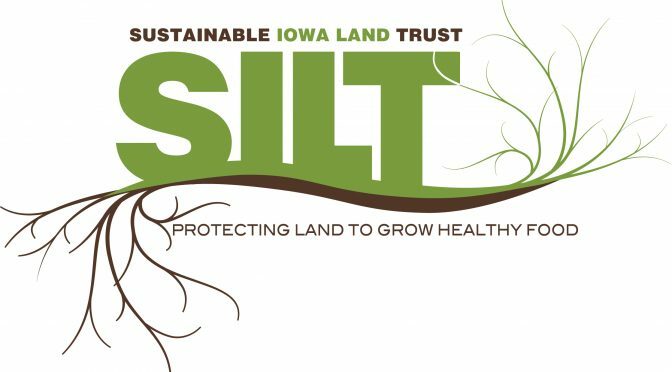 Red Fern Farm and the Sustainable Iowa Land Trust will be hosting a showcase at Red Fern Farm on Wednesday, September 20 from 10:00 – 2:00. The showcase will include a tour of Red Fern Farm’s chestnut and pawpaw groves, lunch (including venison, pawpaw bars, and persimmon brownies), and information about protecting farm land with SILT. A lawyer and appraiser will be available to answer your questions about land easements and other protection options. 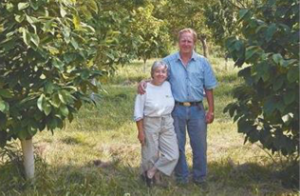 Tom Wahl and Kathy Dice standing in their pawpaw patch at Red Fern Farm. Space is limited, pre-register by Friday, September 15th by emailing info@silt.org or call (515)278-0550 to reserve your spot. This event is free and open to the public.